Dil Hi Dil Mein (2000) aka Kadhalar Dhinam, My first hybrid dubbing experience. What I enjoyed most in this movie is the story of how Rosa’s wealthy, accomplished father, played by the very handsome Nassar, once was an orphan. Who doesn’t love a good orphan story? With his orphan background, he’s naturally drawn to help out Raja, who he has no idea is in love with his very own daughter! Orphans unite! Here are some images to show the rough start Roja’s daddy had before winning his hard earned success. Well one of the things wrong with begging in this case was that they didn’t give the little girl milk, so she’d cry with passion and get more money from begging. But they went too far and she died. 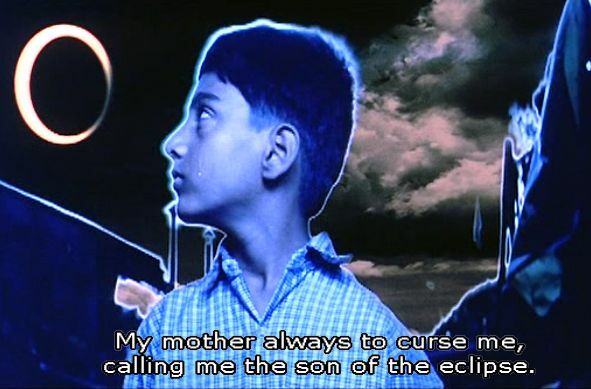 As an young orphan boy, Roja’s dad, aka son of the eclipse, was blamed for his sister’s death, since her begging money went to pay his tuition and satisfy his lust for education. Well it sounds to me like his mom was projecting her guilt over her beti’s death onto her son. I hope he eventually grew to understand this. I do love these neglected orphan tales though. All the suffering! 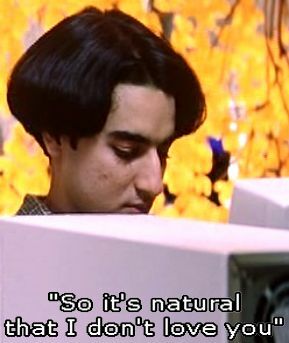 I found the Dorthy Hammil hair of the lead star, Kunal, distracting. For those who aren’t old enough to recall, Dorthy Hammil was the gold medel winning figure skating darling of the 1975 Olympics, who stormed the world with her sassy hairdo. When I tried to find out more about Kunal, I was saddened to see that he committed suicide on Feburary 7, 2008, which is incidentally my birthday. I heard Dorthy Hammil interviewed on the radio recently and she spoke of her struggles with depression, which must have been what Kunul suffered from, since untreated depression is the cause of suicide. So sad. But we have this nice movie to remember him by. Bommarillu (2006) & Genelia D’Souza. Sometimes I sneak over to Tollywood. 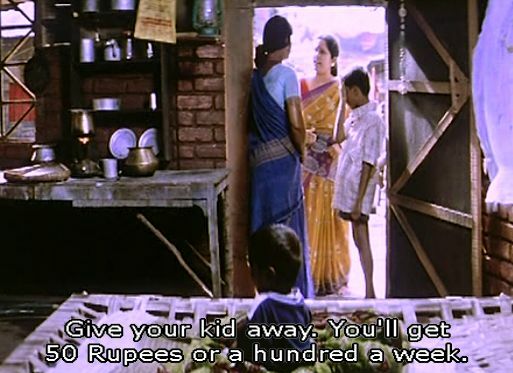 I know this is a Bollywood blog, but sometimes I have to talk about Tollywood. I saw my second Telugu film the other day: Bommarillu (2006). The first Telugu film I saw was Varsham (2004), which I enjoyed just as much. I was excited to see Genelia D’Souza in a movie, since her much anticipated Bollywood film Jaane Tu Ya Jaane Na is set to debut this weekend. If you’re curious as I am about JTYJN, Nawab theBollywoodFan has translated the songs from the movie (music by A. R. Rahman!) and given a lot of great preview information at his site. He’s also had some brushes with the film’s director, Abbas Tyrewala, that you can read about here. 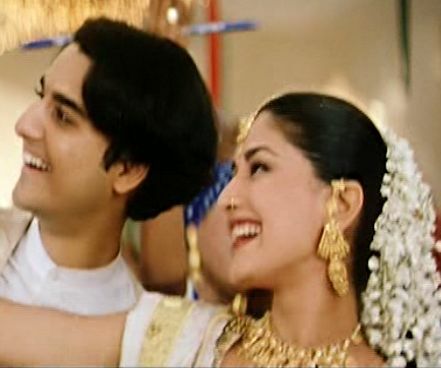 D’Souza is adorable ADORABLE as Hasini in Bommarillu. She’s like the daughter of Kajol and Rani if that were possible, with a dash of Tanuja, and twist of Gidgit; meaning if she were any cuter she’d explode. 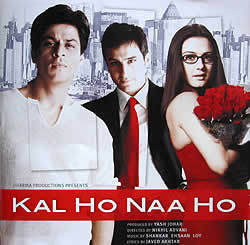 The movie reminded me of DDLJ, KKHH, and Cinderella. Its appeal is vast, but in particular, I think all 8-12 year old girls out there would adore this movie. Second to D’Souza, my other favorite part in the film was the domineering father, marvelously played by the brutally handsome Prakash Raj. I was delighted to find that when this move is remade in Hindi, one of my favorite hot villains, Nana Patekar, will play the father. My favorite number from the film is Laloo Darvaja, with music by Murali, Naveen, Priya Prakash; lyricist: Kulasekhar. I saw a Chinese movie a few weeks back called Luxury Car (2006). 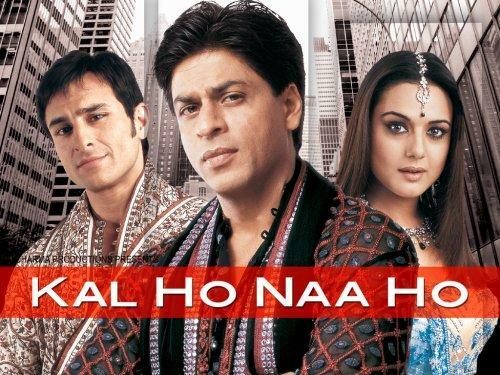 It was bleak, depressing and very good, but it brought me back to Bollywood. How you ask? Well it was directed by Wang Chao, who studied under director Chen Kaige, who made some movies starring the lovely Gong Li. Gong Li was the first actress I saw that moved me to want to see all her films. It was only after running out of movies with Gong Li, did I think maybe I’d like to see another movie with “that guy from Devdas,” who I later found out was Shahrukh Khan. Then I was listening to NPR and heard a mini documentary on Umm Kulthum. 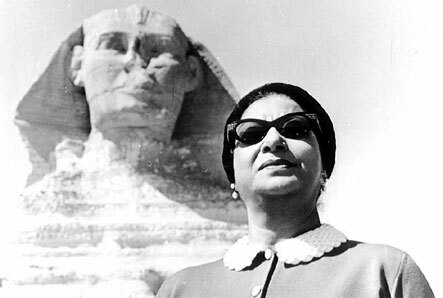 Now hipped to Umm Kulthum, I promptly went to the library to get “Umm Kulthum: A Voice Like Egypt.” It’s an excellent documentary on a fascinating life. While watching Umm-ji’s life story, I thought of Lata Mangeshkar and Asha Bhosle. Can you watch and hear this and not want more? I couldn’t. Come, enough, we’ve already missed so much. O love of my soul. What I saw, what I saw before my eyes saw you was a wasted life. How can it be counted? You are my life whose morning began with your light. You are my life. Is even Umm telling me in this song to get back to Bollywood? Thanks to armacino89 for the video. Click here for a subtitled rendition of the same tune, and here for another. First I cheated with films, documentaries, China, Egpyt. Then I cheated with food, Ethiopian food! When eating out, instead of dining at one of my favorite Indian restaurants, Best of India, I strayed over to Fasika and dined on Ethiopian food, which I hadn’t had for years. My mind was seduced by the wall mural of Victoria Falls and other images throughout the restaurant of Lalibela, Axum, and Addis Ababa. My interest was peaked, but how could I even think of traveling to Ethiopia before I see my mother India? That food was really great! I also cheated with books. When I’m not watching movies, I enjoy reading and I’d heard the “The God of Small Things” was an excellent book. It’s set in a village in Kerala, India, so I was slowly getting back to Bollywood, more or less. I know the author, Arundhati Roy, wrote “In Which Annie Gives It Those Ones” which was one of Shahrukh Khan’s first gigs. Bollywood calling me again. Then within the book, Roy makes reference to a tragic love triangle (sound familiar, Bollywood?) in a Malayalam film Chemmeen(1965). It’s not Bollywood, but it’s the Malayalam film industry, so I’m getting closer to coming back Bollywood. Bollywood was so majestic, waiting gracefully as I looked around enjoying all the world has to offer, all the while being reminded of him. Really, I never left, you were always in my heart, I mean in my dil. Forgive me Bollywood, for I have sinned! I confess to almighty God, (Bollywood) and to you, my brothers and sisters,that I have sinned through my own fault,in my thoughts and in my words, in what I have done, and in what I have failed to do; and I ask blessed Mary, ever virgin, all the angels and saints, and you, my brothers and sisters, to pray for me to the Lord our God. Yesterday I had a life just like Babita in yesterday’s video clip. Such generous dosto were Nandini, Brahmanadam and Gurubhai! Hard to believe it was Gurubhai‘s first time eating Indian food. They showered me with unique, lovely and valuable gifts, the most valuable being their waqt. We dined on scrumptious delicacies at Best of India in the cozy little gem of a strip mall: The Texa Tonka Mall. Strip malls can really be quite charming if you give them the chance. The Texa Tonka not only has a great name, but is home of Best of India, Namaste Plaza, and Axman! After the great meal with yaaro, I was lucky enough to watch Beta, which has the most tight slaps to the face I’ve ever seen in a Bollywood movie. A perfect birthday fo Sita-ji! Today’s video is so caliente, it should be rated R for racy! My movie watching yaar fell in love with Madhuri during this song, and his love only deepened as the movie progressed. Can you say Filmfare award? Enjoy “Dhak Dhak Karne Laga” by playback singers Udit Narayan and Anuradha Paudwal from Beta. Thanks fo tilluskc for the video. Today’s video is the song “Nuvosta Nantey Nenu Vadantana” from the Telugu movie, Varsham (2004), in honor of the passing of its director, Sobhan-ji. I loved this movie! It’s too bad the director died. 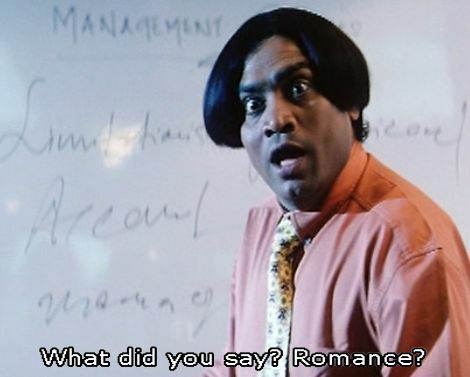 I wish more Telugu films had English subtitles. Thanks to damavailable for the youtube video. Today’s song is “Kannalanae” from Bombay (1995). I remember seeing this film and thinking in the music numbers the lips weren’t matching what they were singing and that Manisha Koirala should really work on her lip syncing skills. I then much later realized that they were singing (or pretending to sing) in Tamil, and the movie was dubbed into Hindi. Duh! Of course I fell for Arvind Swamy after seeing this movie. Didn’t you? “Kannalanae” with playback singer K. S. Chithra, I think that this is the Tamil version, maybe tomorrow I’ll add the Hindi version titled “Kehna hi kya,” or do I have that the other way around? Thanks to aruhten for the video. For about the film, check out The Bolly Blog’s review HERE.